Hello, I'm creative Front-End Developer from Ismailia, Egypt. I started working as a UI/ UX developer freelancer two years ago. I graduated from Engineering faculty Civil Department but, I found my passion in designing and coding so, I did a career shift to work what I really love. 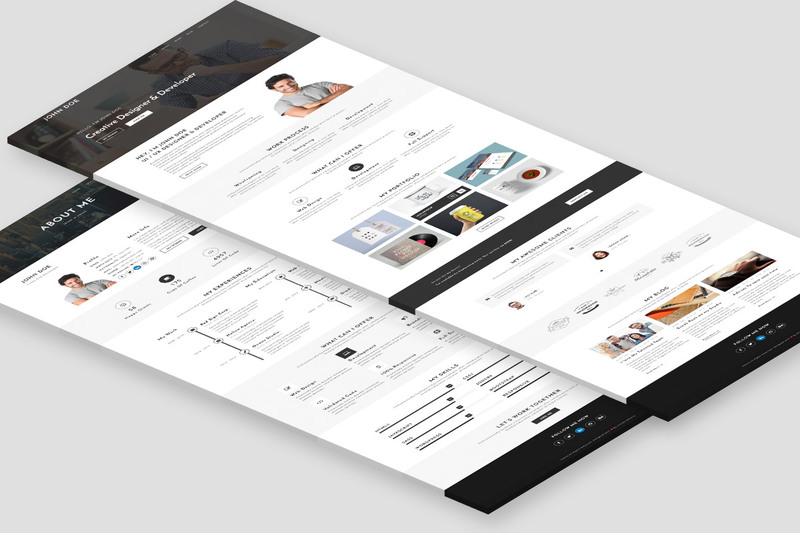 If you are looking for a Front-End Developer who can design you modern websites with clean, organized and validated, then you are in the right place. Hire me now! I can design Full websites from scratch. Just give my your expectations and I'll impress you as I use the latest techniques in design. I can give you a website written in validated HTML5 according to W3C Markup Validation Service with no errors or even with warnings. I like using CSS3 animations in websites make them more interactive with the user experience that makes your website more valuable. Clean, tidy and well-organised code is my favourite way to write a code. I always write clean code that's so easy to understand it and modify it. I can make totally responsive websites and mobile friendly that will work properly on any device such as PC, laptops, tablet or mobiles. It'll be my pleasure to hear from you at any time 24/7. If you have any problem, please don't hesitate to send me your problem. Xpreime is simple, clean and elegant minimal PSD template but still professional and suitable for any personal or portfolio websites. Xpreime is modern template comes with 13 layered PSD files that you can use to show your works and talents to the world in a unique and elegant way. Xpreime is the suitable and the smart choice for creative designers, developers, and even photographers. Xpreime is designed based on 1170px Bootstrap grid system. All the PSD files are well-organized and layered to make it much easier to be customized. This template is especially designed for designers, developers and creative freelancers who will need a simple and robust template to keep in touch with their clients. Mortale is simple, clean and elegant one page HTML template but still professional and suitable for any personal or portfolio websites. 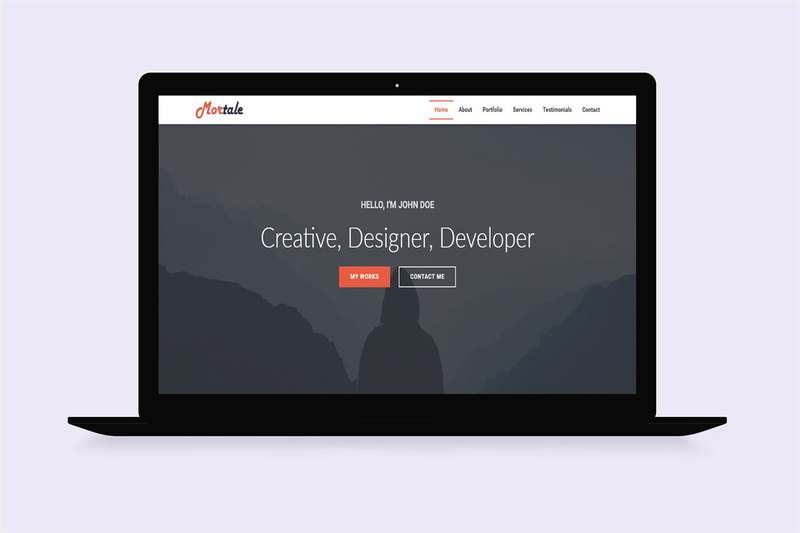 Mortale is modern template comes with a well-organized and coded HTML file that you can use to show your works and talents to the world in a unique and elegant way. Mortale is the suitable and the smart choice for creative designers, developers and even photographers. Mortale is designed using Bootstrap v3.3.7 too so it’s totally responsive and mobile friendly. It will work properly on any device ( Desktops, tablets, mobiles, ...... ). Mortale is simple, clean and elegant one page PSD template but still professional and suitable for any personal or portfolio websites. Mortale is modern template comes with a layered PSD file that you can use to show your works and talents to the world in a unique and elegant way. Mortale is the suitable and the smart choice for creative designers, developers, and even photographers. Mortale is designed based on 1170px Bootstrap grid system. The PSD file is well-organized and layered to make it much easier to be customized. This template is specially designed for designers, developers and creative freelancers who will need a simple and robust template to keep in touch with their clients. 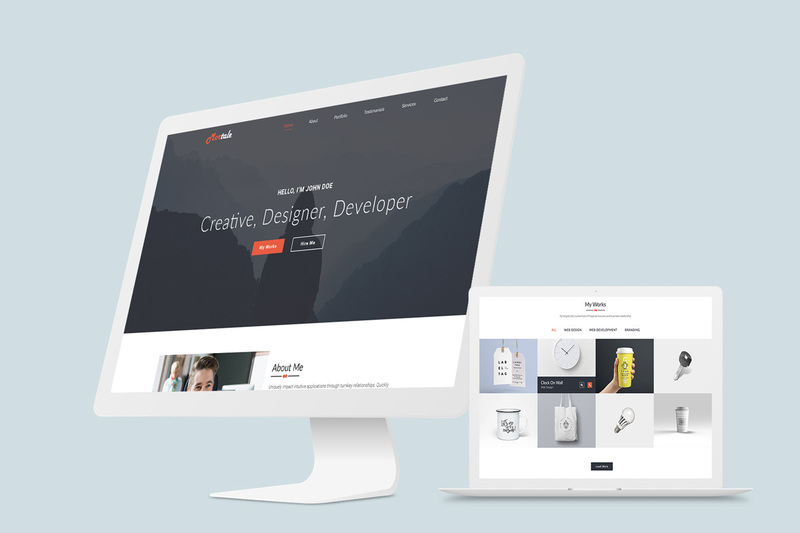 Prema is simple, clean and elegant HTML template but still professional and suitable for any personal, resume or portfolio websites. Prema template has 7 different HTML files with 6 different hero sections it also has 16 different flat colors that you can change between them and enjoy it. ( Static Background, Parallax Background, Static Slider, Parallax Slider, Typed text and Typed text with Fade Slider ). It’s designed using the latest HTML5 and CSS3 techniques. 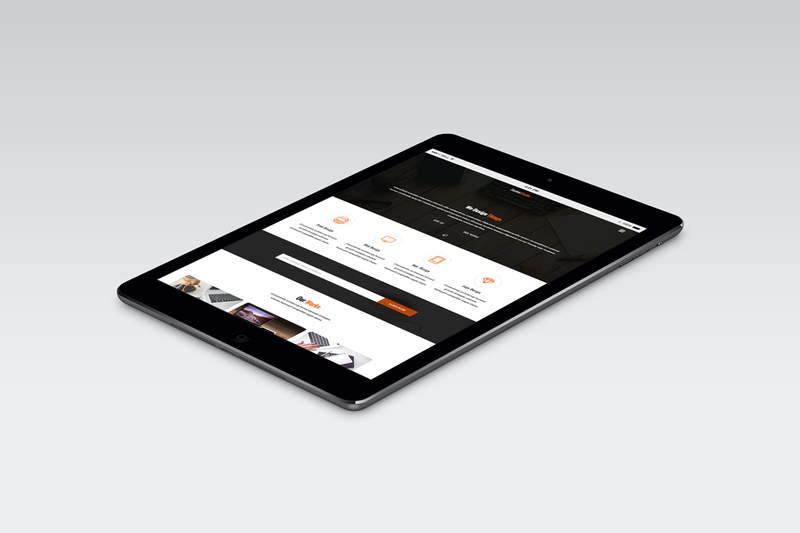 It’s designed using Bootstrap v3.3.6 too so it’s totally responsive && mobile friendly. It will work properly on any device ( Desktops, tablets, mobiles, ...... ). 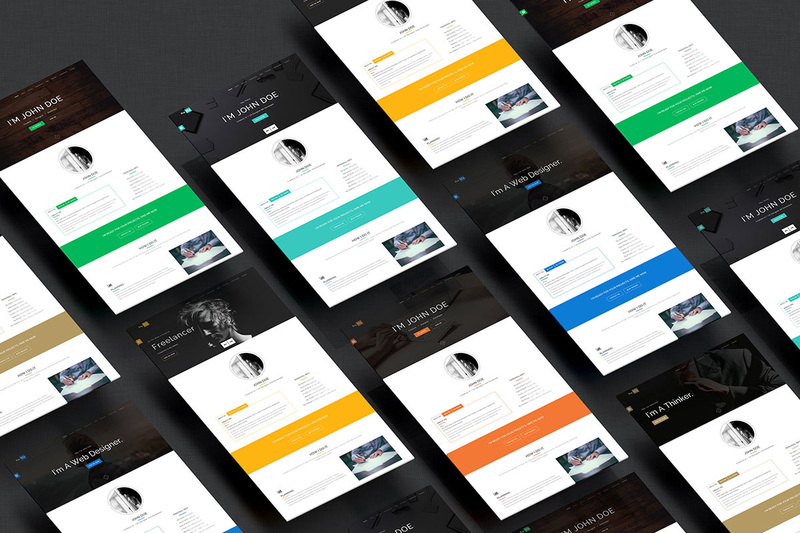 Marqa is a creative personal & portfolio template, responsive one page based on twitter bootstrap 3.3.6. You can use it for your personal resume, CV or your portfolio. Marqa template is written in valid and clean HTML & CSS3 code. It’s easy to customize and also well documented so it’ll suit your needs. Tantos Studio is a clean and unique template. I Used HTML, CSS, and some jquery to code this awesome template. 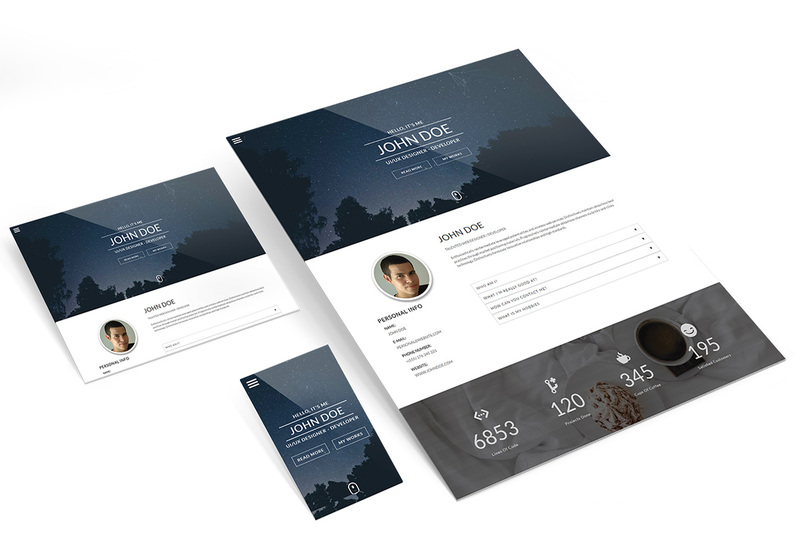 That was a free PSD template I converted it into live website as an exercise to improve my skills. So, the PSD isn't mine I just coded it. 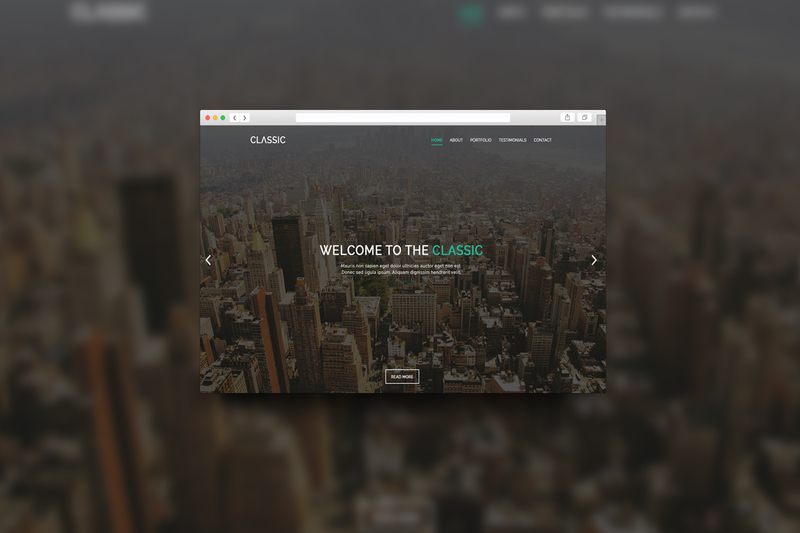 Classic template is a creative design of a design agency. It's not responsive design but still unique and elegant. I used CSS3 transitions and animations to make the website more interactive, also I used Jquery to provide much more interactivity to user actions. After checking my awesome portfolio here I hope you like my works. If you are interested in working with me don't hesitate to hire me okay? This guy is beyond normal when it comes to support, he went way beyond my expectation to help me resolve some issues I had with the template code I amended. Through his generous help I actually learnt more about Bootstrap grid systems. I would highly recommend anyone who is considering buying one of his templates to purchase the extended warranty as the level of support this guy provides is 10/10. Marqa, thanks a miilion!!! Really cool design, and a lot of comments so very easy to customize. Ahmed's theme is FANTASTIC! Ahmed is very very polite and professional! GOOD GOOD GOOD! I suggest this guy! Very good code and excellent support. Good. Hey, as you reached this far of my site it means you have a project and interested in my awesome works. Choose your favourite way to contact with me. 21 Aml st, El-Balabsa, Ismailia, Egypt.